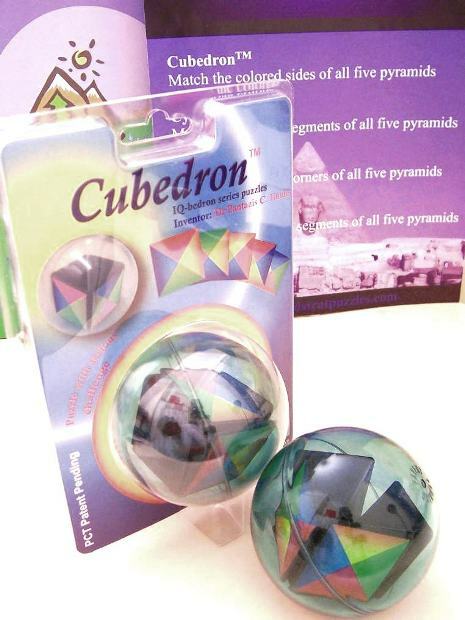 There are five pyramids inside a sphere, which can fall into the empty space made by the missing sixth pyramid. Match the colored sides of all five pyramids. Invented: Pantazis Houlis. Took part in 2008 Puzzle Design Competition. This product was added to our catalog on 18.12.2009.